Amanda Fields at [email protected]. See you inside! Please find below a series of document links related to the LEOFF 2 - Benefit Improvement Account. The first link is a short video providing an overview of the account, the need for a reliable funding mechanism, and why WACOPS supports HB2144. Following that link is a March 29, 2019 summary and Q and A provided by Executive Director, Teresa Taylor. Additionally, please find a joint letter from WACOPS and COMPAS. WACOPS is the largest law enforcement representative of LEOFF 2 pensioners. Funding the BIA is a high legislative priority as set by WACOPS members. Get Executive Director, Teresa Taylor's Comments on the Supreme Court Rules, March 21, 2019. 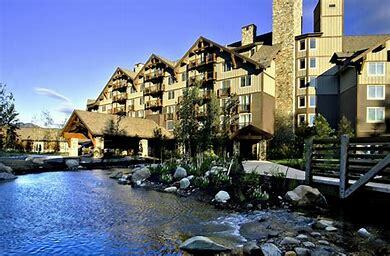 The Spring General Membership Meeting is Coming this May 13 and 14 at the beautiful Suncadia Resort in Cle Elum Washington! If you haven't registered for the Spring General Membership Meeting yet click HERE! contact Amanda Fields at [email protected] or call (360) 352-8224. We would love to thank our Sponsors for the Golf Tournament! 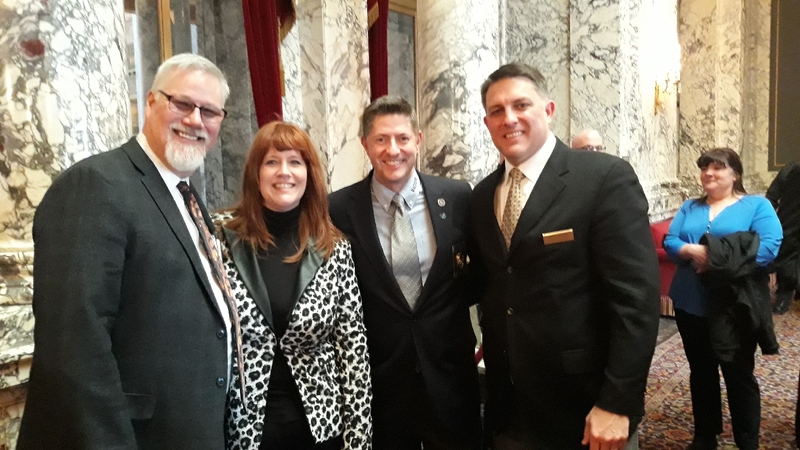 The relationships we foster with members of the Washington State Legislature are essential to protecting the working conditions, pensions, and collective bargaining rights of our members. Therefore, in 2018 with enthusiasm and great respect, we have selected our (4) 2018 Legislators of the Year. Please click on the link below to see our valued 2018 Legislators! We hope for your continued support in 2019 and thank you for all you've done to help WACOPS in 2018. 2018 WACOPS LEGISLATORS OF THE YEAR | AWARD WINNERS YOUR SUPPORT OF WACOPS IS VALUED! WACOPS 2019 SCHOLARSHIP APPLICATION NOW AVAILABLE. Click Here for the fillable application. Email [email protected], if you have any questions. 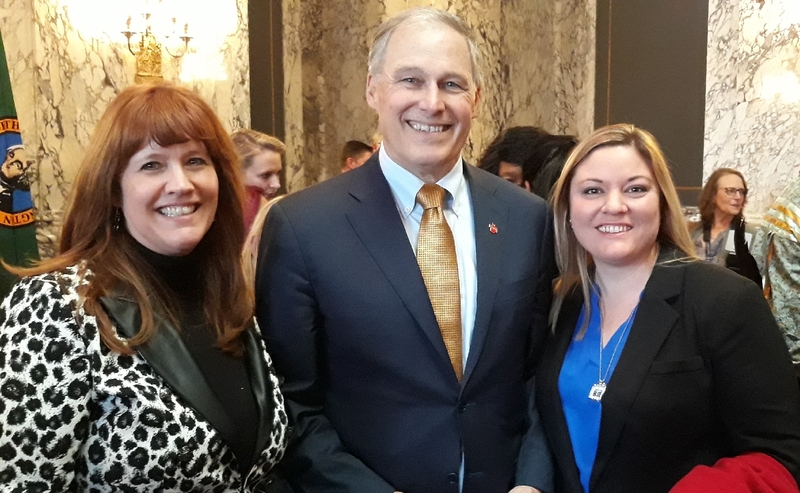 The bill was delivered to Governor Inslee’s office for his signature and the signing ceremony was held, Monday, February 4th! There will be plenty of work to do with rulemaking in the coming year, but the legislative piece is complete and WACOPS will continue to be there every step of the way. WACOPS WORKS FOR YOU! Thank you to everyone who has helped and worked so hard to get where we are today. 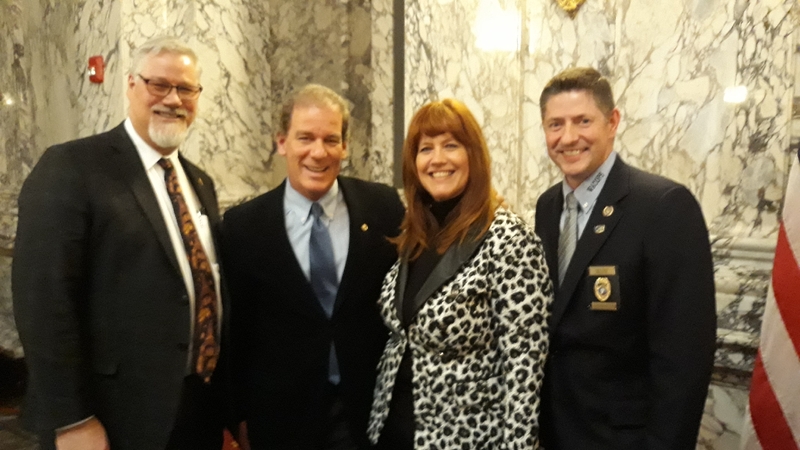 Pictured below: Bud Sizemore, Teresa Taylor, Chris Tracy, Julie Morley, Governor Inslee, Jeff DeVere and Senator Roger Goodman. 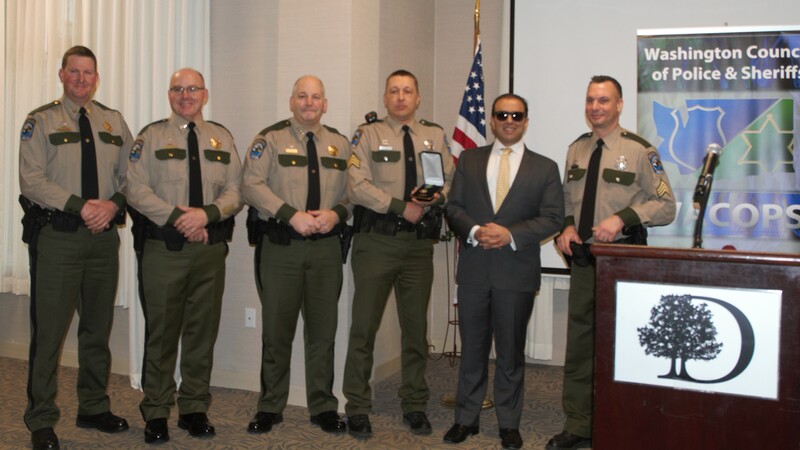 Sergeant Ryan John, Honored as WACOPS 2018 Law Enforcement Officer of the Year! Washington State Fish and Wildlife Sergeant, Ryan John received the honor of WACOPS 2018 Law Enforcement Officer of the Year at the Winter Membership Meeting on January 25 in Olympia. January 30, 2019 |A Historical Day for WACOPS | SHB 1064 = UNANIMOUS VOTE from Senate. Need help logging in? If yes, email Amanda Fields at AdminEvents @wacops.org for assistance. WACOPS Official App Is Here! Welcome to WACOPS 24/7 with our new official app, everything you love about WACOPS right at your fingertips. 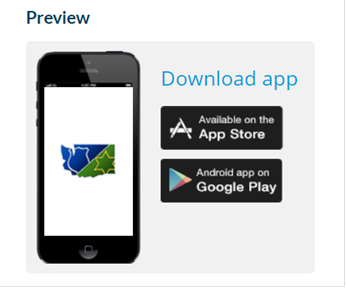 Don't be the last person to download our FREE official WACOPS Mobile App and keep up-to-date on how WACOPS is working for you. Designed for members and friends of the Washington Council of Police & Sheriffs (WACOPS) to stay connected at all times. Featuring a calendar of events, videos, contact information for board members, messaging, and important notifications. Each remarkable recipient, whose pride in their community along with hard work and dedication to further their schooling demonstrates why WACOPS has chosen to award each of them, $1,000 for their 2018-19 academic year. Each year, WACOPS awards up to six, $1,000, scholarships to children of WACOPS members in good standing. A desire for higher education, extra-curricular activities and hobbies are just a few of the criteria our Scholarship Review Committee uses to identify the award winners. WACOPS would like to sincerely thank the Scholarship Review Committee and Chair, Tarina Rose-Watson who dedicated numerous hours of their personal time to review each of the 29 applications. If you are interested in obtaining the WACOPS Scholarship Application email Amanda Fields, WACOPS Administrative & Events Specialist at [email protected] to be included on the scholarship email list. 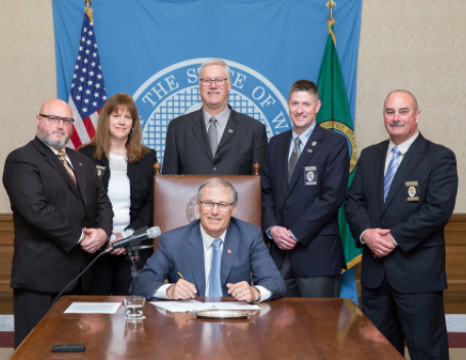 On March 23, Governor Inslee signed into law two WACOPS-requested bills: SB 6188 (Brady List) and SSB 6214 (PTSD as a presumed occupational injury). 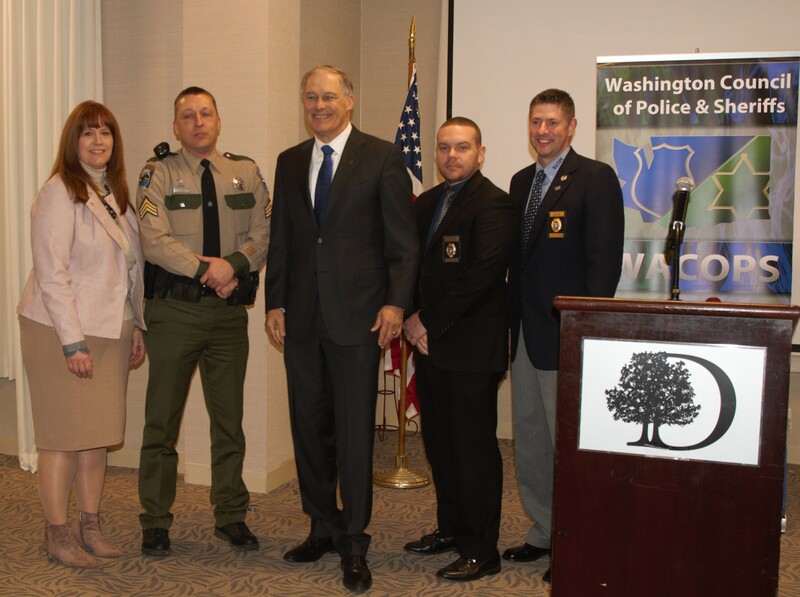 For more than 50 years, the Washington Council of Police & Sheriffs has been committed to supporting those who have dedicated their careers to protect and serve our communities as law enforcement officers by providing legislative representation, insurance products, and professional support. The WACOPS website serves to provide members within our state’s law enforcement community with legislative, upcoming training opportunities, scholarships, insurance and legal defense information, easy interaction with other WACOPS members, and more. The site also serves as a membership database that features the vast membership information into one, easily navigated source, as well as a community forum where discussion topics may be posted for input by other officers and members. Let us know what you think! We welcome suggestions to make it user-friendly and strive to be the "go-to" site for the latest news and updates. And if you haven’t already, please take a moment to update your profile (upon log-in) to ensure your information is correct.